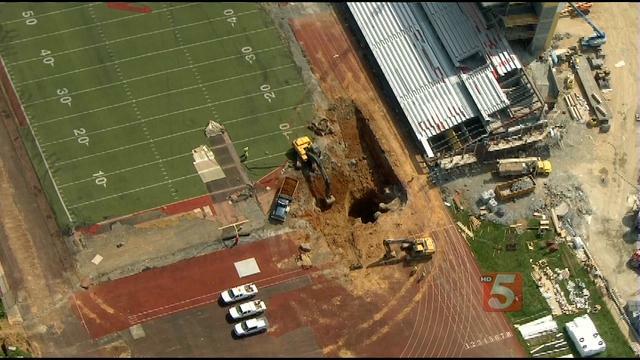 Construction crews were trying to fill a massive sinkhole that began at 3 feet by 5 feet at Austin Peay State University’s Governors Stadium in Tennessee. The hole was first discovered near the football field’s end zone, where it meets the track, during a renovation project to replace the main stadium building about a month ago. The workers have since had to dig a larger hole, about 40 feet deep and 40 feet wide, to find stable bedrock.